***You must pre-register for new weekend course dates! Please note: All Weekend courses up to April 2019 are now fully booked – Cancellation List Applies! Please contact me to be placed on the weekend cancellation list. 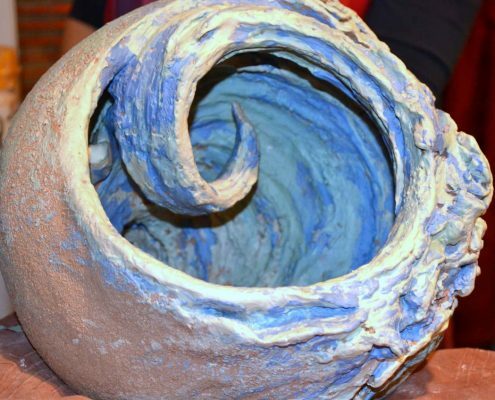 How do the weekend ceramic courses work? 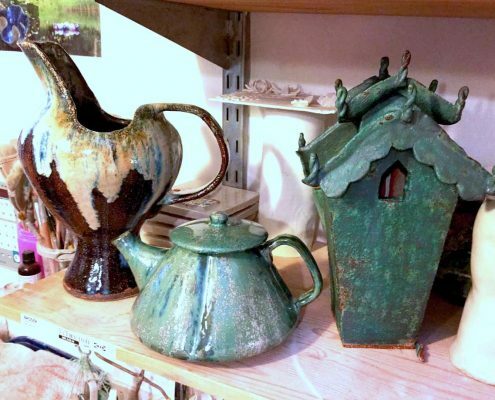 Course fees include all materials (clay & decorating slips), use of equipment/tools, glazes & firing, as well as lunch and refreshments. 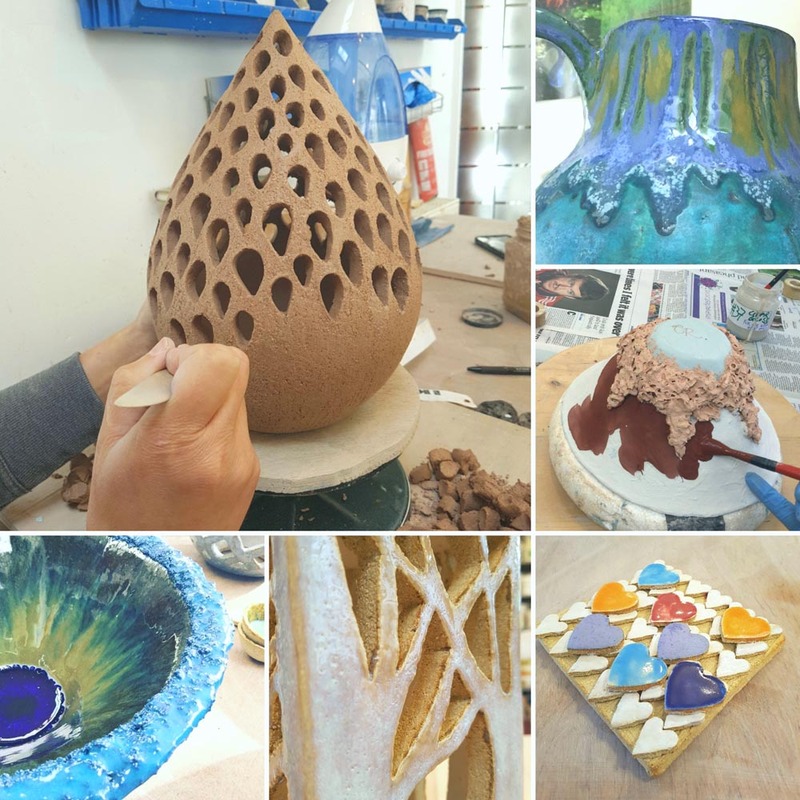 In my ceramic courses we combine ancient hand building methods with modern innovations in ceramics such as combustible mixed media, glass and paper clay. You can attend for 1 or 2 days – €95 1 Day or €180 2 Days. Suitable for all levels – beginners and improvers. Course is FULL – Cancellation list applies. 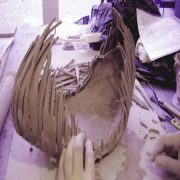 Course Details – Paper Clay is a dynamic clay medium to work with as it allows a lot more freedom than conventional clay. 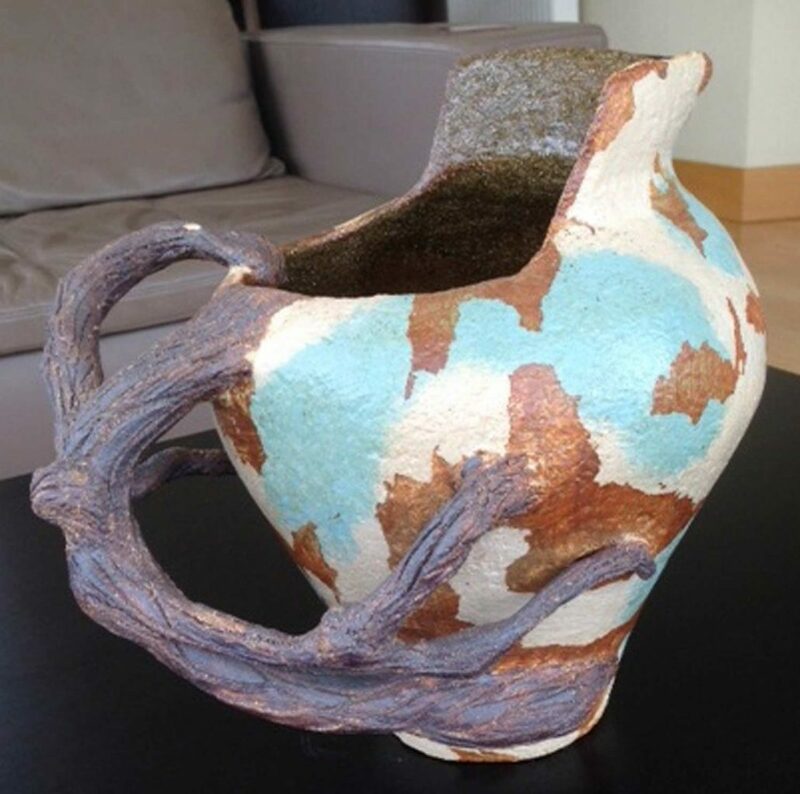 You will learn how to make our own stoneware paper clay and about its properties as a clay body before using paper clay to construct vessels, objects or sculptures. The construction method will be tailored to the individual project . 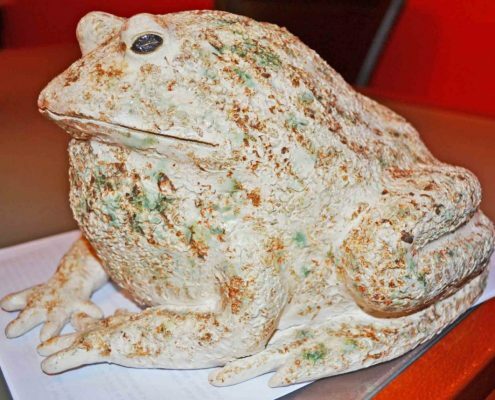 I’ve been using my own Paper Clay for 10+ years and this stoneware clay body is fantastic – it is a very strong clay, very plastic, light and it glazes really well. 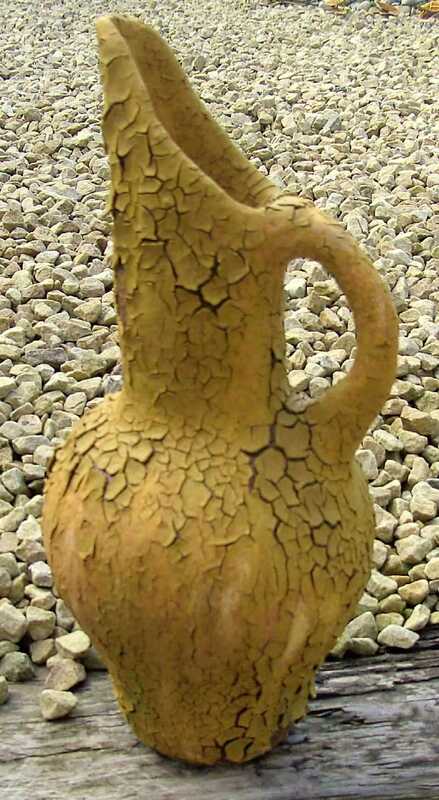 For lots of inspiration please see my Pinterest Board ‘Ceramic Paper Clay (Stoneware Cone 8)’. Paper clay is any ceramic clay body with paper fibre added to it in quantities starting at 5%. The tiny molecular structure of the paper pulp does not interfere with the structure of the clay, but offers wonderful flexibility when working. 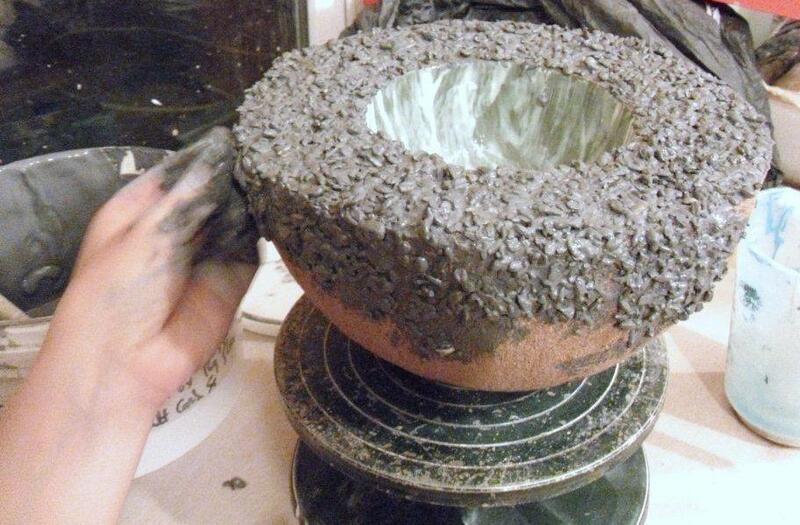 During the biscuit firing the paper burns away leaving a pure ceramic form albeit a lighter clay body. Course is FULL – Waiting list applies. 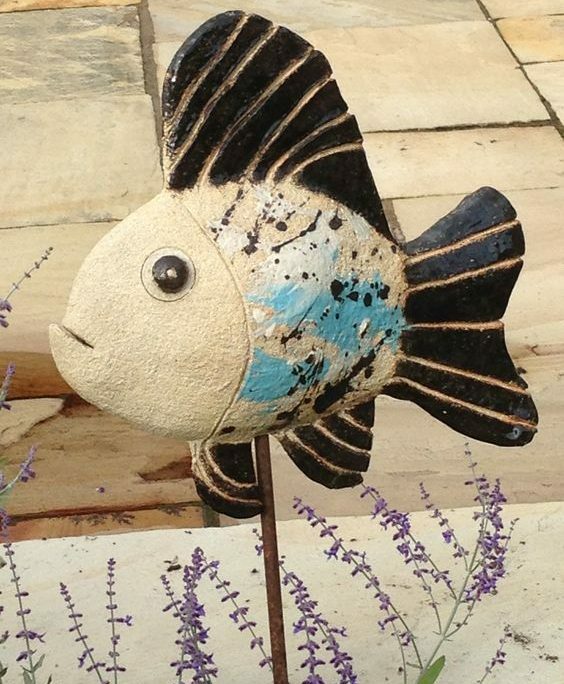 Course Details – Ceramic Sculpture Inspired by Fish – taking inspiration from our fishy friends and taking it step-by-step, we will explore a fish of your choice through the medium of clay. There are so many wonderful fish to choose from! Wall pieces or sculpture can be explored. 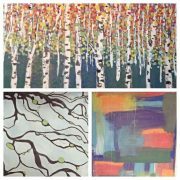 Our approach can be abstracted or representational. 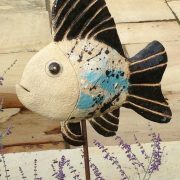 For lots of inspiration please see my Pinterest Board – Ceramic Fish. 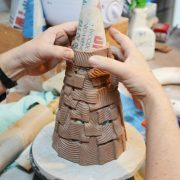 Using my own paper clay body we will construct vessels, objects, animals, figures or sculptures by over lapping patches of paper clay pieces to create really interesting forms. 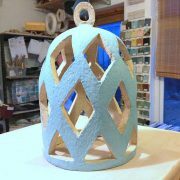 Paper Clay is a dynamic clay medium to work with as it allows a lot more freedom than conventional clay. The patches themselves can be any shape, size or form – such as strips, circles, squares, rectangles, leaves, torn pieces of clay or animals like fish/birds etc. 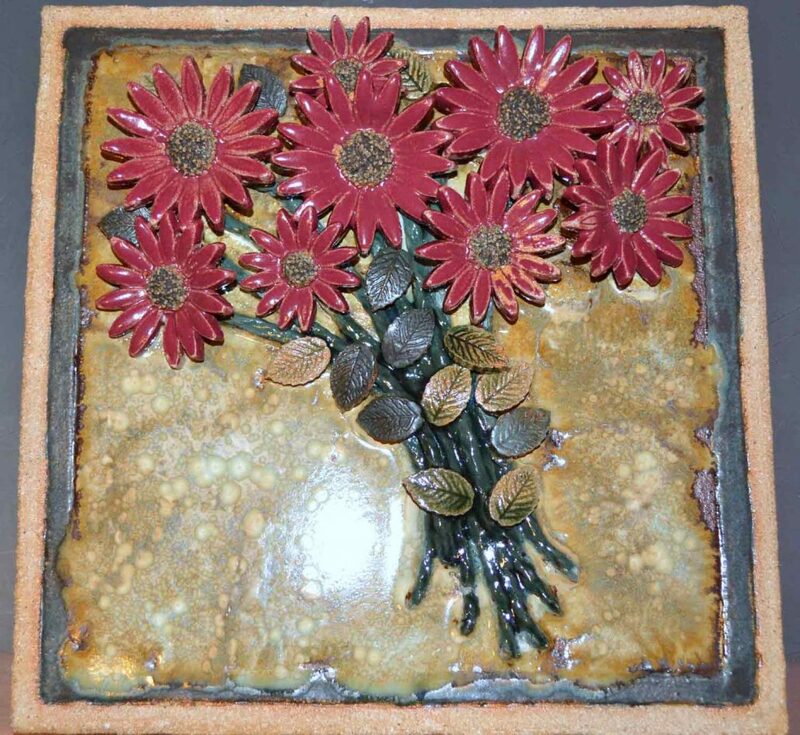 For lots of inspiration please see my Pinterest Board, Ceramic Paper Clay Patches. 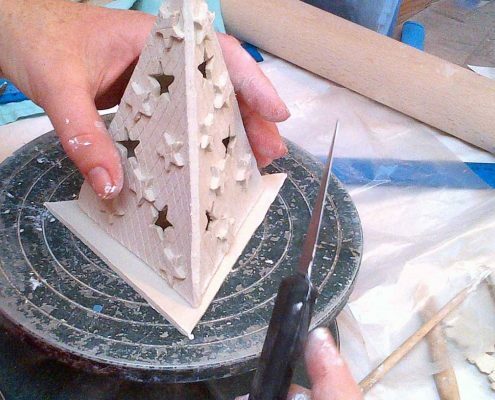 Course Details – create your own unique hand-built lamp, lighting feature or lantern in clay. 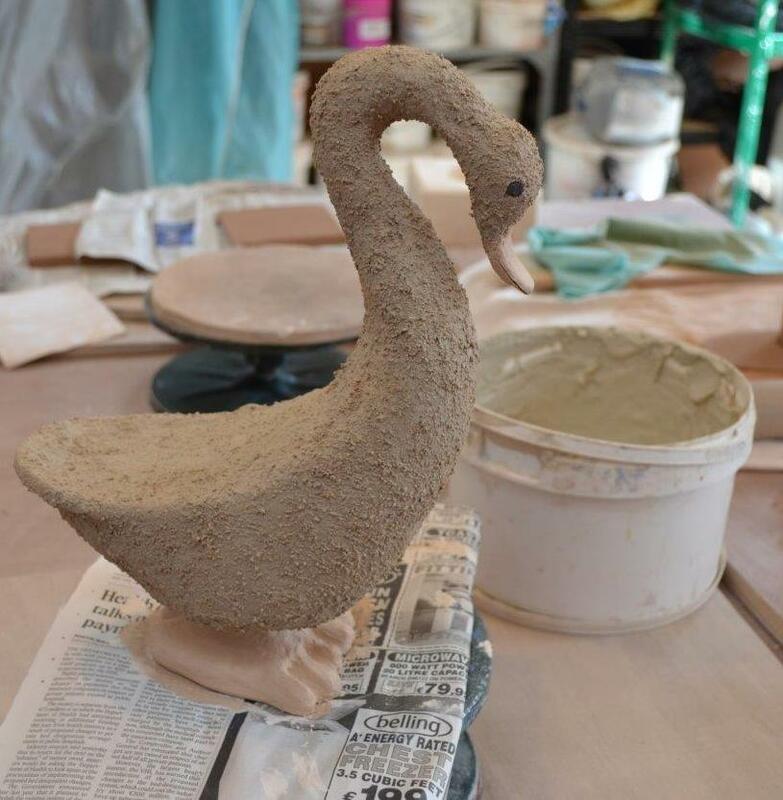 The construction method will be tailored to the individual project so the piece can be coil built, slab-built, press or hump moulded or modelled. Pieces can be designed for use indoors or outdoors & with candles or electrical fittings (fittings not included in course fees). 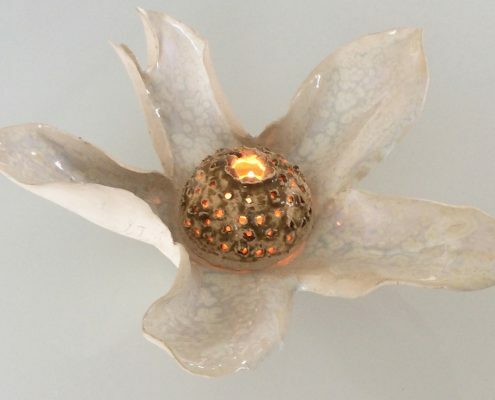 For lots of inspiration please see my Pinterest Board ‘Lamps, Lighting & Lanterns in Ceramics’. 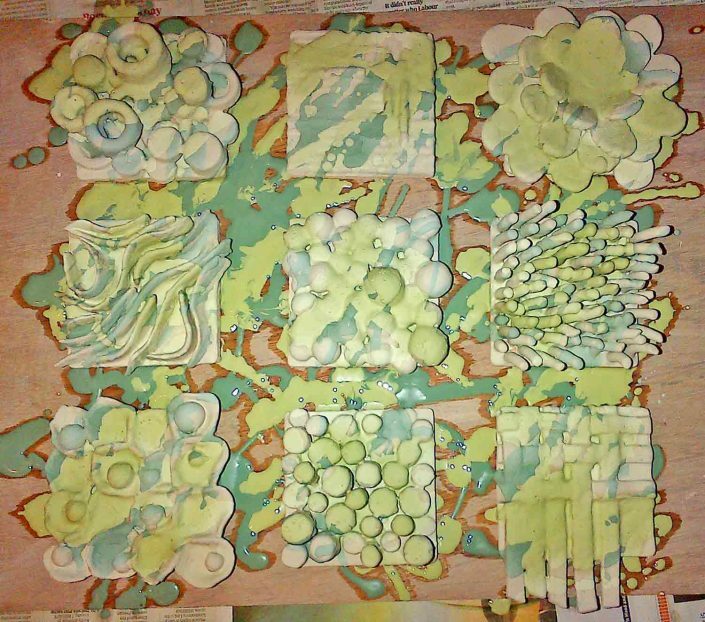 Course Details – in this workshop we are combining printing techniques (specifically mono-printing); slip casting with liquid clay onto a plaster batt (plaster slab) and the construction of pieces using soft-slabs of clay. Borrowing techniques from printing and using underglazes / engobes and mark marking processes we will ‘decorate’ & paint the plaster batts before casting a thin paper clay slab onto the plaster. The painting/design will transfer from the plaster batt onto the cast slab thus creating a mono-printing! These slabs can they be cut to create various vessels and objects which will showcase our slip design. The pieces are fired to 1100°C. 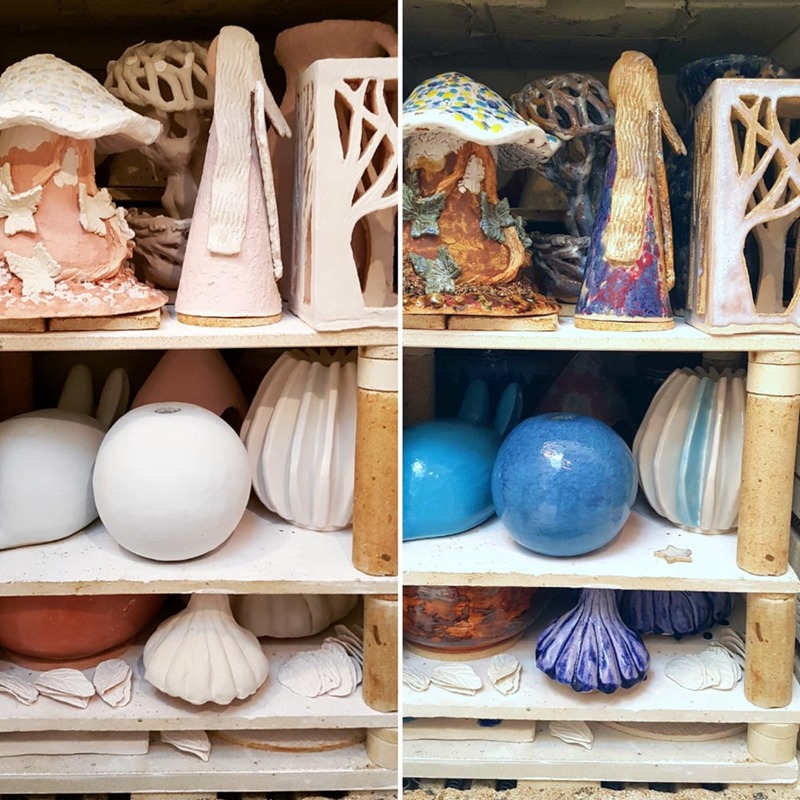 This course is both challenging and exciting, a very different way to create ceramics – a very cool process! This workshop has been hugely popular with students – not to be missed! For lots of inspiration please see my Pinterest Boards Mono-Printing & Paper Clay Casting Slip and Pattern Ideas… Ceramic Surface Decoration. Paper clay is any ceramic clay body with paper fibre added to it in quantities starting at 5%. For the Mono-Prints we start with a liquid paper clay (paper slip). The tiny molecular structure of the paper pulp does not interfere with the structure of the slip, but offers wonderful flexibility when constructing our vessels, otherwise working with such thin clay slabs is very difficult. During the biscuit firing the paper burns away leaving a pure ceramic form albeit a lighter clay body. Who can join the weekend classes? → The mailing list will close 1 week before the new date release and will re-open the day after the release. 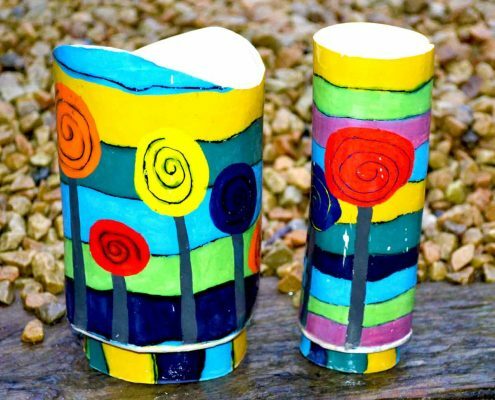 → Learn how to make hand built ceramics with an award winning artist in a purpose built, bright, modern, fully equipped studio in Castleknock, Dublin. → For most weekend courses all levels are welcome from complete beginners to more advanced students and class numbers are limited to a maximum of 7 to ensure individual attention. 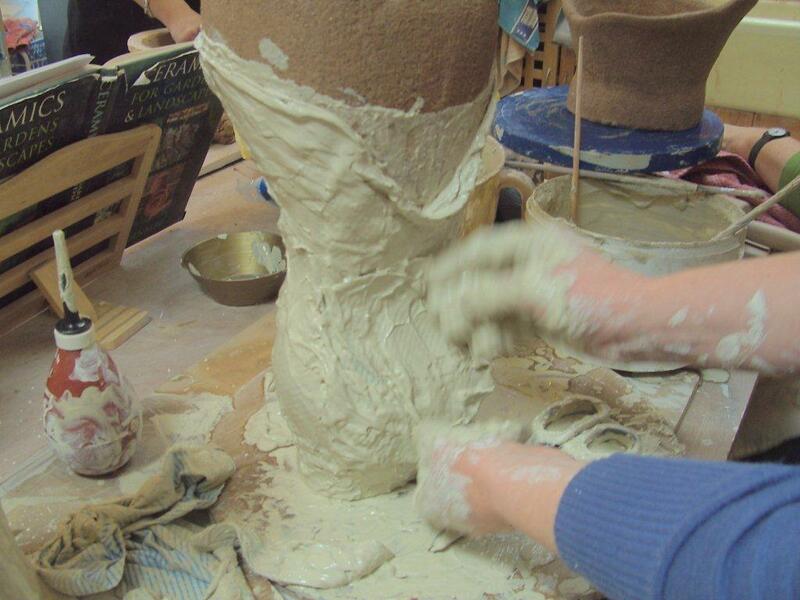 Please note: Porcelain Paper Clay and Mono-Printing with Paper Clay Casting Slip are both advanced courses – not suitable for beginners. → Weekend courses are generally based around a particular topic e.g. Hand Built Forms in Paper Clay. However, if you are a beginner to ceramics I will tailor the course so that you starter project is something manageable like a large bowl. 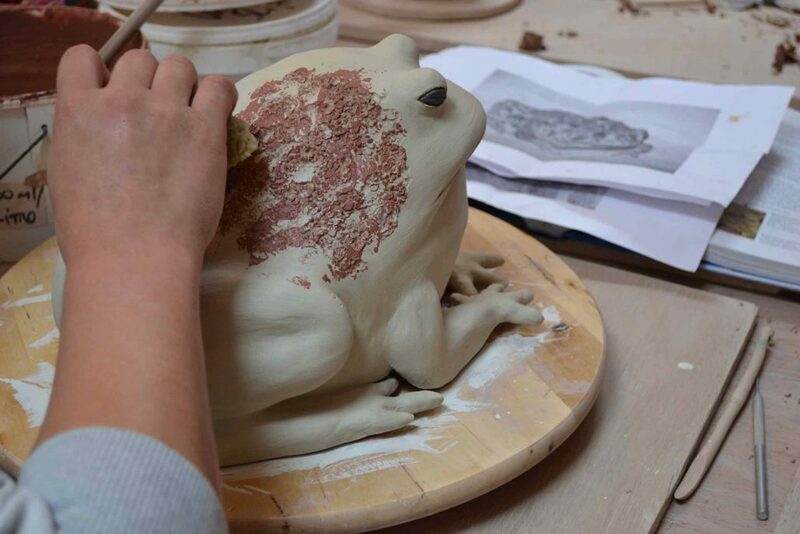 → Course fees include all materials (clay & decorating slips), use of equipment/tools, glazes & firing, as well as lunch and refreshments. → For most weekend courses all levels are welcome from complete beginners to more advanced students and class numbers are limited to a maximum of 7 to ensure individual attention. 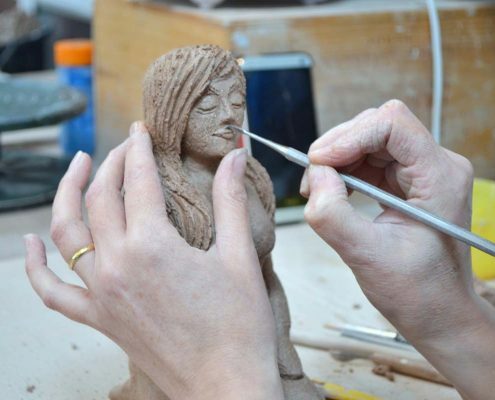 So whether you are a total beginner, an improver or have been working with clay for years there is a place for you in these classes. 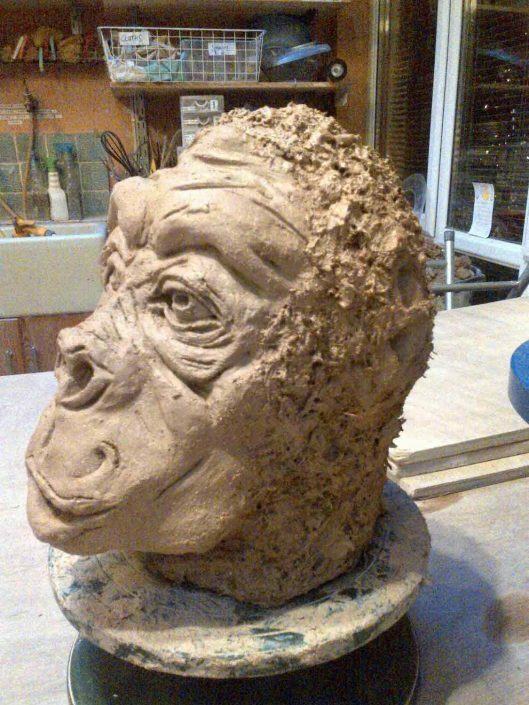 Please note: Porcelain Paper Clay and Mono-Printing with Paper Clay Casting Slip are both advanced courses – not suitable for beginners. → If a weekend course is Sold Out, a waiting list for cancellation applies – please contact me if you wish to be placed on the weekend cancellation list. → There is a Weekend Course every month – courses run all year round so no withdrawal symptoms over the summer months! | Part 5 | How can I join? → First, you need to be offered a place! Please note: you must pre-register for new weekend course dates. If you are on the mailing list you will be emailed when the new dates are available. → New dates are released every few months. Being on the list does not guarantee a place. → Places are first come, first serve and sell out extremely quickly! → If two people wish to attend a weekend course together really early booking is recommended! → You can attend 1 or 2 days – it’s up to you. 1 day course is €95 or 2 days is €180. Course fees include all materials (clay & decorating slips), use of equipment/tools, glazes & firing, as well as lunch and refreshments. → The booking deposit to hold a place is €45 for 1 day course or €80 for 2 day course. The course fee less the deposit paid is due at the first class. → There is no deposit required for being placed on the waiting/cancellation list. → After booking please note that all deposits are non-refundable and non-transferable. → Full Terms and Conditions and Payment Methods for courses are available in the FAQ section. Combustible materials we might add are things like paper, wood, textiles, wool, grains, seeds, poly balls & plant materials like moss. Non-combustibles would be materials like grogs, perlite and recycled glass. All theses materials make amazing patterns and textures in clay. 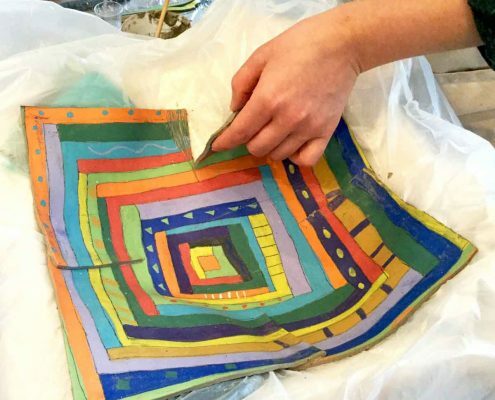 Mixed media materials as well as all other materials like slips, clay, glazes, firing, use of tools are included in the course fees. Students of all levels can explore combustible mixed media. Students of all levels can explore these surface decoration techniques.